Our passenger ferries are available for private hire for river trips and special occasions, such as weddings, birthdays and parties. 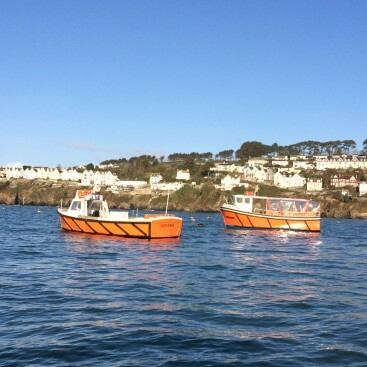 We are lucky enough to have the beautiful Fowey harbour and river on our doorstep and we love nothing more than being able to help customers showcase it to their friends and family. 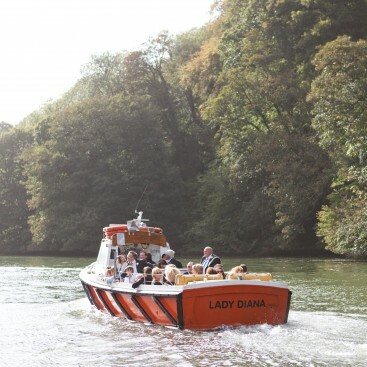 Whether you would like to cruise up the river to Lostwithiel on a summer’s evening, have a tour that takes in Polruan, Fowey and Golant or transport your wedding guests to your reception, we will ensure you have a special experience. 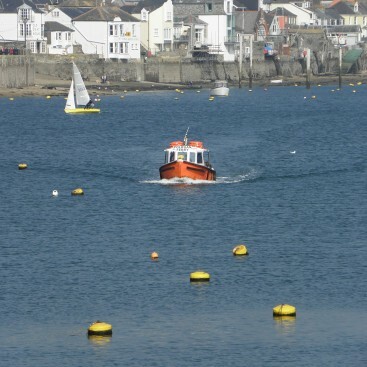 Polruan Ferry has the only boats on the River Fowey which are able to carry parties from 26 – 48 people. We can also cater for larger parties in separate boats. We are able to offer a range of options and can work with you to tailor a package to suit your personal requirements and numbers. Our knowledgable and friendly staff will ensure that your guests are looked after throughout your trip.